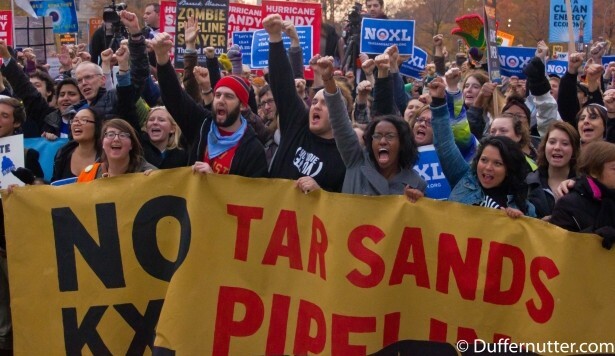 The announcement that President Obama plans to veto a “Republican-backed” bill approving the KXL (KXL) is rightfully seen as a victory for the environmental movement and a direct result of their persistent campaigning. However, it’s not clear that Obama will actually reject the project in the end. The environmental movement has the opportunity to use the momentum gained last year to build a mass movement in 2015 focused on delivering environmental, economic and social justice. Obama stated in 2013 that he would not approve the pipeline if it would “significantly exacerbate” global warming — a curious statement considering the pipeline would be a conduit for the very product that is causing global warming. The State Department’s report, released in January last year, stated that KXL would not worsen carbon pollution, leaving the political door open for Obama to greenlight the project (State.gov 1/14/2014). Yet, oil prices have plunged over the past 6 months to a 6-year low of about $50/barrel (from around $100/barrel in summer 2014) at the time of writing (Reuters 1/16/2015). High oil prices fueled a mad rush to apply new, expensive extraction technology in the U.S., particularly in the Bakken oil shale region of North Dakota. The U.S. surpassed Saudia Arabia in 2014 as the top oil producer, flooding the market with oil from U.S. producers at levels not seen since the 70’s. On top of that, demand is lower than anticipated, leading to a glut in supply in the range of 1-2 million barrels a day. Since the State Department based their statements on oil prices above $75/barrel, their logic would now suggest that KXL would significantly exacerbate global warming, and should therefore be rejected. Under capitalism, the market and all it’s volatilities is governing our future, not scientific data. After the 2014 mid-term elections, the Legislature now has enough support with Republicans and moderate Democrats in both houses to move forward with legislation approving KXL. Even if Obama follows through with the veto, Republicans, assisted by a greater than 60% approval by the public and support from labor unions, need to convince only 28 Democrats to override the veto. While this scenario is unlikely, that so many Democrats voted for approval and that Obama is vacillating clearly shows that the Democratic leadership is a shaky ally at best, and definitely not where the environmental movement should focus it’s energy. President Obama is clearly reluctant to approve KXL, as are many Democrats in local and federal positions to support it. But, talk is cheap. Admitting global warming is happening isn’t going to save lives, and proposing timid steps in the right direction is a tacit acceptance that that millions will die. Considering the profits at stake and the power fossil fuel corporations wield in the political and economic realm, the rapid transition away from fossil fuels necessitates a mighty force to enact. The environmental movement’s focus on organizing people into campaigns, marches, rallies, and direct actions over the past few years has gained more momentum for the movement than the previous two decades of lobbying and efforts to elect progressive Democrats. The momentum gained last year can be transformed into a mass movement, with millions of youth and working people united in the call for a sustainable future with guaranteed jobs for all, a living wage, and social equity. Ultimately, the struggle for a safe future demands we transform our movement into one that recognizes that environmental destruction and climate are just a few of the consequences of the brutally exploitative system of capitalism. The ills of modern society, lack of good jobs, low wages, homelessness, poverty, racism, sexism, and homophobia, are also rooted in capitalism. Turning the tide against fossil fuel corporations, forcing corporations to keep their product in the ground, requires not only a rejection of major fossil fuel projects, but also the demand for building the necessary infrastructure for a rapid transition to clean energy. 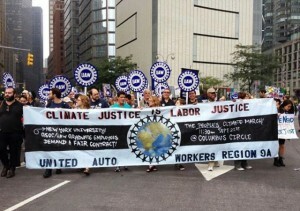 By focusing the movement on clean energy investment (and therefore a major public works jobs program), the environmental movement could cut across Big Oil’s lure of jobs and attract more support from working families crushed by low wages and underemployment, and crucially, support from labor unions, a powerful and decisive ally in this battle. Now is the time to organize nationally coordinated-mass actions to stop the KXL’s approval, and if approved, it’s construction. 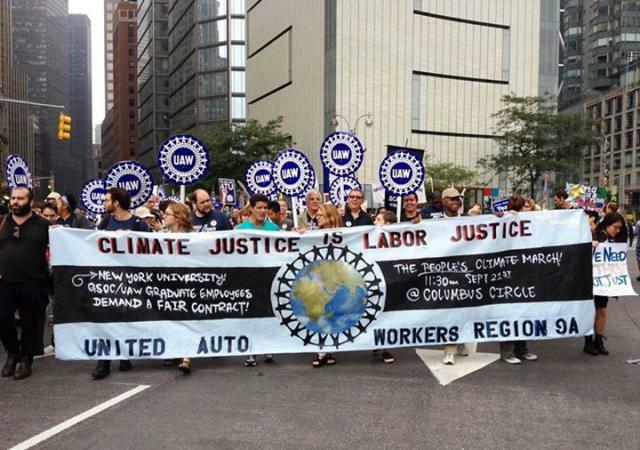 We can achieve this by building and strengthening coalitions of forward thinking labor unions, social justice organizations, environmental organizations, native peoples, and socialists. As Naomi Klein laid out in her new book, “This Changes Everything,” the climate crisis offers us an opportunity to take on the gross inequality and environmental destruction that are both rooted in the capitalist system. 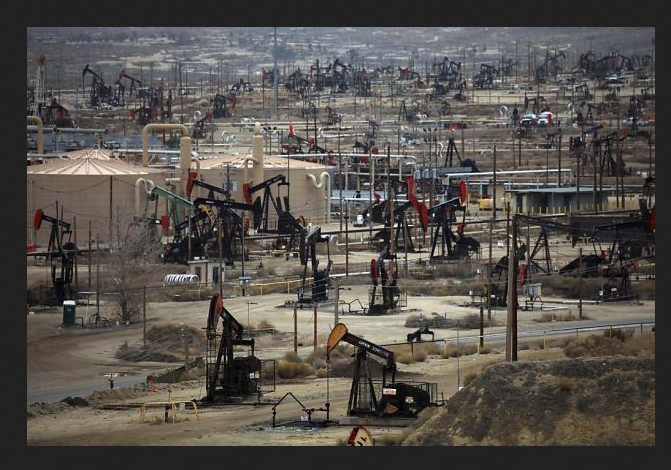 To effect rapid change, the environmental movement should continue transformation until it is no longer just an environmental movement, but a movement that calls for democratic control over our future – for nationalizing the energy corporations, collective ownership of the commanding heights of the economy, and democratic control over our resources, our work, and our lives.